How many times have you grabbed a bag of baby carrots at the store instead of buying and cutting up full-sized ones? 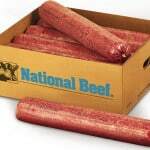 Or picked up a package of pre-shaped burgers instead of a pound of ground beef? While these pre-prepared foods may save you a few minutes here and there, the convenience may not be worth the expense. 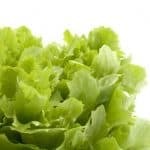 Consider lettuce, as it’s so readily available in a variety of mixes in bags and pouches. Where I live, iceberg lettuce costs roughly $1 to $1.79 a head. One head makes five to six cups of chopped lettuce. The bags run about $2 each and provide roughly three cups of chopped lettuce, or the amount of half of one head. If you eat the equivalent of a head per week, over the course of a year, buying and chopping up a head will cost you $50-$90, while the bagged stuff will run you more than $200. Is the few minutes you save with the bags really worth it? Perhaps you buy the bags because a whole head is too much for your household. You may want to consider investing in a vacuum food sealer, which can prolong the life of lettuce by several days if not a week or more. If the lettuce savings aren’t worth your time, let’s talk about carrots. Baby carrots are great to snack on or throw in kids’ lunch boxes, but all that processing to turn big carrots into little ones has a price. A two-pound (32-ounce) bag of carrots is about $2.29 a bag while a 12-ounce bag of baby carrots is about $3.50. Peeling and cutting a few carrots really takes only a few minutes — five at the most. Let’s say you use two pounds of carrots per week. If you choose baby carrots, you’ll spend an extra $480 a year. 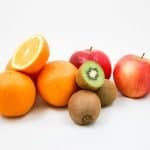 Kids, and many adults too, prefer to eat cut-up apples rather than whole. Those little bags of pre-cut apples are so convenient, right? And they’re less than $5 for a 12-ounce bag. I can get a pound of apples for $1 to $2. Buying two pounds a week and cutting them myself, which also takes just a couple of minutes, will cost between $50 and $100 a year. But buying the same amount of the pre-cut bags of apples gives the grocery store $620 in a year’s time. The savings aren’t limited to the produce department. Those pre-made burgers are easy to throw on the grill, but a pound a week of them over a year will run you about $260. Buying a pound of ground beef each week to make your own burgers will cost just $150 over the same time. Plus, forming your own burgers also lets you add seasonings, cheese or any other ingredient you like. If your family eats these foods regularly, buying them whole and taking a few minutes to prep them yourself will cost about $380 a year. 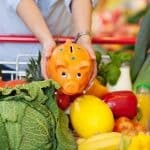 But, if you choose to buy the pre-cut/pre-shaped foods, plan to spend about $1,190 over the year. Do it yourself and save a ton. 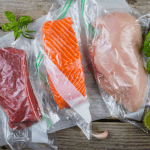 Vacuum sealers: Are they worth the price? Everyday I cut up carrots for packed lunch, you just get used to it. And I have always made burgers too as you can experiment with the flavours! Those three simple things make cutting whole produce so simple!